If you search hard enough, you’ll find a fair few Craft & Dough posts on Food & Baker, but looking back on them, none of it does this wonderful place any kind of justice. With one on Campo Lane but our favourite spot of their’s in the upcoming area of Kelham Island, it encapsulates all that is great about Sheffield’s independent restaurant scene. It’s all in the name – craft beer and dough pizza, so starting things off with a Beavertown Neck Oil beer seemed like the right way to go. I, James am a massive fan of IPA’s so if you are too, this one comes highly recommended. The bar shelves are full of unfamiliar bottles and cans, which is what makes this place different from any other bar or restaurant in the city. On draught is everything from their own Craft & Dough lager to the more common Estrella and the lesser known Konig Ludwig – which is what I opted for later on in the evening. Along with the Apple & Elderflower Collins from their extensive cocktail menu, we chose to share the Nduja 2 and all time classic of Craft Cuts. 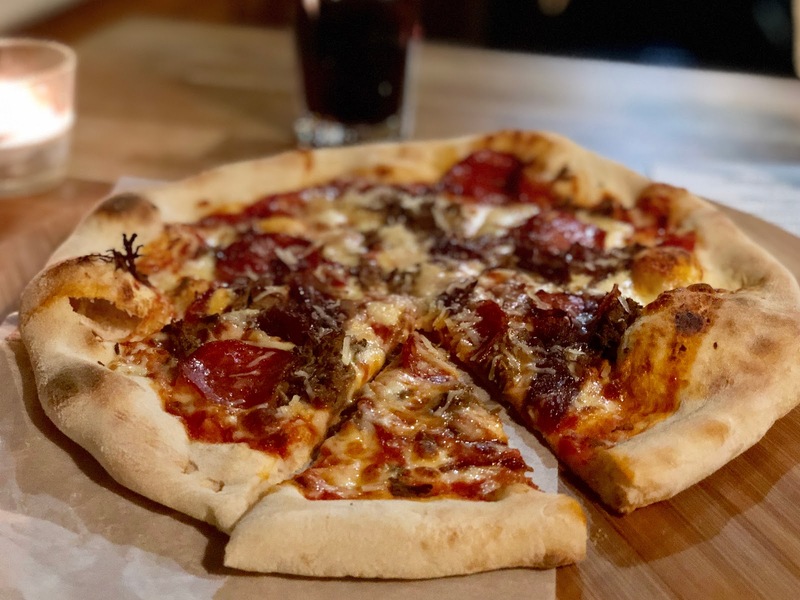 The latter was recently voted one of the thirteen best pizzas in the UK in the National Pizza Awards, and it’s clear to see why. The braised beef and pepperoni on the hand stretched and freshly prepared dough will have us back here time and time again. The second generation of the Nduja pizza also went down a treat. 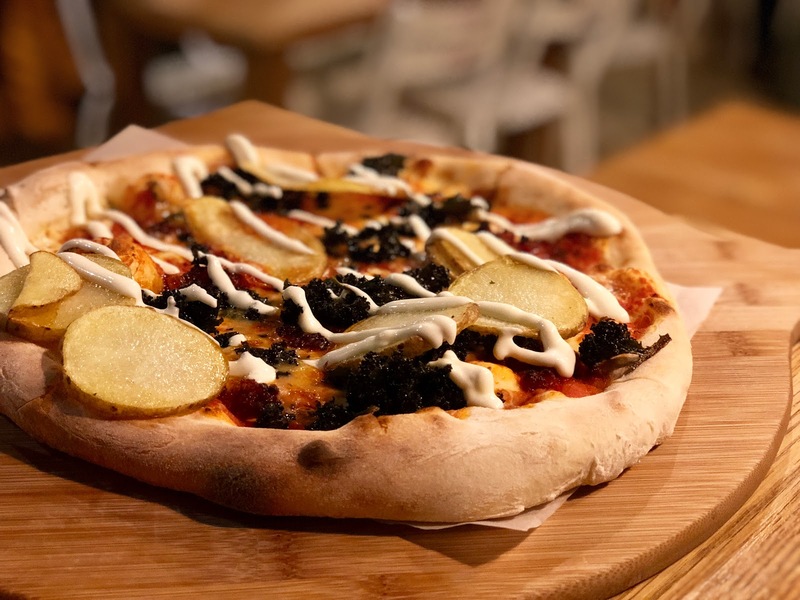 Now with fried potato, cream cheese and stilton, it takes what is another favourite to another level and epitomises the unusual and unique toppings and combinations you cannot find anything else. 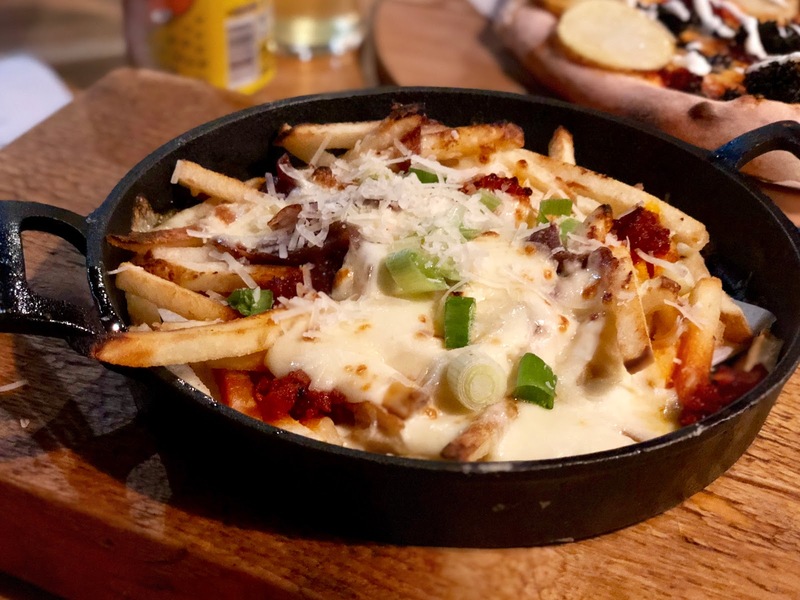 Just when you thought things can’t any better, the filthy fries with even more nduja, spring onions and red onions were perfectly spicy and enticing. It was hard not to be drawn into having our usual herb salt fries option, but we’re glad we did! A massive thank you to everyone at Craft & Dough and special shout out to Johnny for looking after us so well! Wow 😍All of this food looks amazing but those filthy fries 😋they are a bit of me! OMGoodness these all look delicious. I want to go here, actually I correct myself I want to live here with all that delicious looking food! Now I need to visit Sheffield so that I can eat all of this! The chips look absolutely amazing as well as the pizza! Please do! Let us know if and when you do because I really want them too now! The pizza looks delicious especially with all that yummy cheese! Fried potatoes sound too!